Colors include: Multi, Blue, Brown, Gold, Green, Orange, Puce, Purple, Red, Navy Blue. The primary colour is Multi. 5' x 8' Casablanca Rug is rated 4.7 out of 5 by 7. 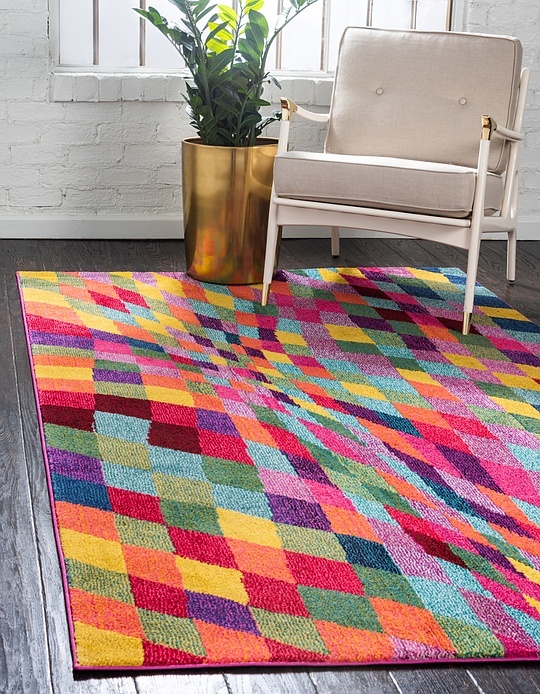 Rated 5 out of 5 by sassa from Colourful and bright - a happy rug. This is my 3rd rug and I LOVE it. I bought it for my kitchen. The moths can't eat it and I can wash it. I bought another one for inside the front door and it will be here in a few days. The underlay is excellent. 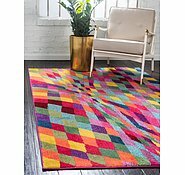 This colourful rug was delivered 48 hours after purchase; from America to Australia with DHL - great couriers. Rated 5 out of 5 by Chris from Absolutely Stunning! I bought this rug for my classroom - our thinking circle - and everyone who has been into my room (students, parents, other school staff) have all expressed how impressed they are with this awesome rug- its colours and quality! Very impressive delivery service too. Would highly recommend AuRugs. Rated 4 out of 5 by MeegBAU from Lovely rug, but... I just took delivery of this rug. It's lovely however the colours are not as bright as displayed in the images for this product. The rug colours are more subdued or duller. Still nice, but if you're wanting bright, then this may not fit. Rated 5 out of 5 by Pippa from Looks great in my unit. I was looking for something bright and colourful. It looks as good in place as it did on the net. Rated 5 out of 5 by Goldsy47 from Great colours I bought this a couple of weeks ago and couldn't be happier!